Excellent overall condition, some small scratches on the back of the neck and some buckle rash to be expected. No major dings, no noticeable blemishes in the finish and no deadspots on the fretboard. Full functional. Very good condition, with the exception of three or four small paintwork blemishes on the front of the body behind the bridge. I’ve never had this resolved to the issues of colour matching any shades of white, especially when aged. Otherwise some usual marks of use but no other major dings or dents. Comes with its original Yamaha hard case. This is known to be the rarest of the six original Super Flighter models, hence the slightly higher price. Excellent condition with a brilliantly low action, no deadspots on the fretboard and no significant exterior damage. There are two things to note with this guitar, firstly that while it has both original pickups, the bridge pickup was once changed. The original was kept and later reinstalled, and is now in place. The other thing to note is a manufacturing defect which in no way affects the functionality, playability or sound. The “Super Flighter” decal on the headstock is misprinted to read “Super Flight”. All checks and other signs of authenticity check out, and you can read an earlier blog post about it here. Again, this is supplied with the original Yamaha hard case. Excellent cosmetic condition, with no significant signs of damage or excessive wear. There are a few more chips around the headstock than on my other Super Flighters, but none too drastic. The slightly lower price is to compensate for potential set-up work that might be necessary dependant on your playing style. At the moment the action is slightly higher than “normal” for an SF, but if you lower it much more you will find a spot around the 9th fret on the G string particularly where it gets a bit of buzz and the sustain is reduced. It’s not a deadspot, but it might become one over time. The low ‘E’ strings also buzzes lightly against the 1st fret when played open, so the nut will need to be packed or replaced. 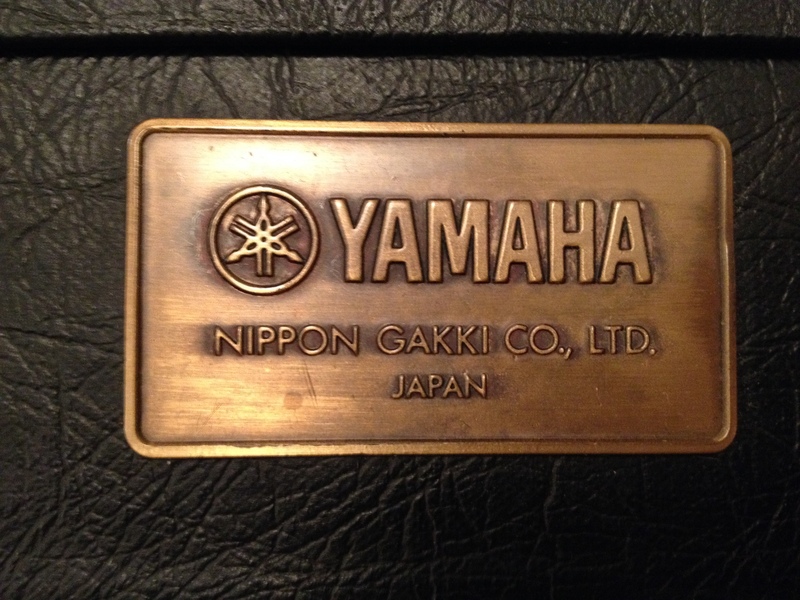 Again, this is supplied with the original Yamaha hard case. Please do let me know directly if any of these guitars are of interest to you! Do also note that the exact details of the cosmetic condition is not explained in these short descriptions, these will be available when I photograph the guitars in detail later this week. I can ship UK-wide for £15, fully insured, next day delivery. ← SF500 Ivory White – The Rare One!